The black task force rubber handle of the Kershaw Filet Knife model 1257 has neon accents that help it stand out for visibility even in low light. 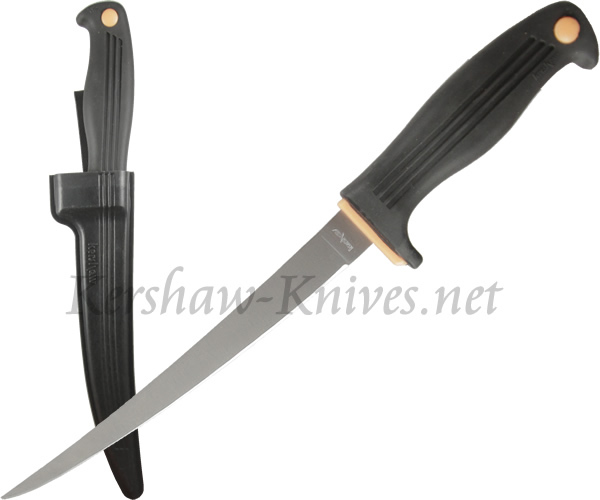 The blade is 7 inches of flexible 420J2 stainless steel. The design of the 1257 lends just enough flexibility to make quick work of filleting fish. An ABS sheath is included with this knife.